Catching Pirates Isn't Always The Best Thing. Cox Communications Tells Why? Catching pirates isn’t as simple as taking away their internet. There used to be a time when any pirate caught meant that there was one less pirate to catch out there in the open. 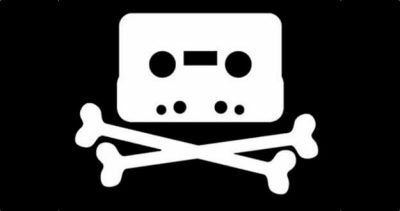 While that may still hold true but some groups are calling for anti-piracy groups to target pirates with a bit more consideration in order to avoid some unforeseen consequences. 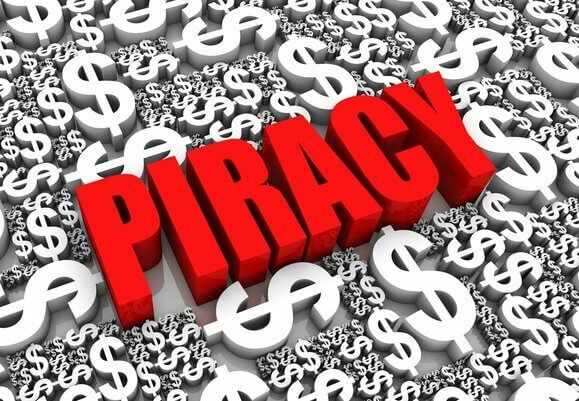 In fact, according to some media reports, people have witnessed widespread demonstrations against piracy verdicts that have targeted repeat copyright violators. Some have even gone on to call the piracy verdict as dangerous for the future of the online community. The piracy case that we’re talking about here is the one that just got concluded between Cox Communications and BMG Rights Management. As mentioned before, various organizations such as industry associations, libraries, academic institutions along with other digital rights groups and anti-piracy groups have made their voices known and have put in their formal responses on the landmark piracy deal that involves Cox Communications and BMG Rights Management. All of the aforementioned organizations and groups have warned the relative courts that the decision of the district court to judge the internet service provider of any subscriber who has engaged in piracy activities responsible for copyright infringement could have harmful ramifications which the court might not have taken into consideration at first. The particular ruling that we’re trying to discuss here is the one that took place last December when a Virginia federal jury ruled against the internet service provider Cox Communications and said that the internet service provider company was actually liable for the copyright violations caused by people who have subscribed to its service regardless of the fact if the internet service provider actually could pinpoint the user who had engaged in copyright violations or not. Readers who did not follow the news at the time should also know that the said internet service provider, Cox Communications, was found guilty of knowingly helping and contributing to copyright violations on part of its paying subscribers while not informing the law enforcement agencies about any and every illegal activity that was taking place because of the company’s internet services. The court ordered Cox Communications to pay a major music publisher by the name of BMG Rights Management a mammoth sum of $25 million which was deemed as the right amount for the damages that BMG Rights Management suffered because of the copyright infringements that took place over the network of Cox Communications. Not giving up on its money easily, Cox Communications filed an appeal last week and argued in its appeal that the district court did not come out with the proper judgement because it had made several mistakes in its judgement while looking at the case that involved the two parties. 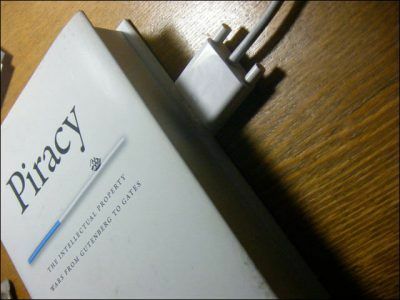 Cox also stated in its appeal that because of the court’s decision, the public is likely to lose out in the very near future since the verdict might be used by other anti-piracy groups to restrict access to the vital internet services for some users. With a host of other organizations and association jumping into the equation as well, it has become clear now, especially this week, that Cox Communications isn’t alone in its fight against the verdict from the court which the company feels is not only unjust to the company as an internet service provider but also to the public whose right to complete and unrestricted internet access is as paramount as any other. 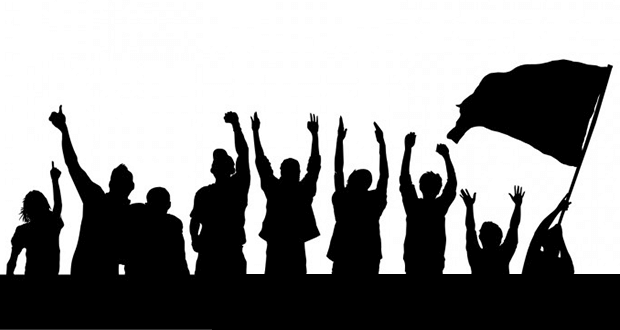 As indicated before, yesterday several number of other organization including industry associations along with academic institutions, digital right groups and libraries submitted their own version of voluntary answers to the court of law in order to appeal against the verdict. 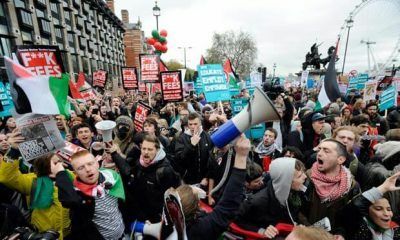 Piracy protests are just like political protests. Only that the protests take place over paper rather than streets. This also allowed these organizations and associations to raise their voice against how issues dealing with internet service providers and piracy should be handled that doesn’t trounce on the rights of end-users. As of this moment in time, the collective response is a rather long one and totals over two hundred pages. The overall tone of the submission seems to be that if the current verdict by Virginia federal jury is not challenged and is allowed to stand then that puts other internet service providers along with other online service operators in danger because the verdict could be used in the future to unjustly target these internet service providers because of the activities that might take place from their networks and services. In other words, the verdict, as it stands right now may also be used to handle liability claims brought by other parties against other internet service providers and since the law had not been correctly interpreted in the case between Cox Communications and BMG Rights Management, this same verdict could really hurt other internet service providers. The CCIA, Computer & Communications Industry Association, which is a non-for-profit organization and represents giant global tech companies including the likes of Facebook, Microsoft, Google and Oracle, submitted their views and opinions regarding the issue between Cox Communications and BMG Rights Management in a brief with the CTA, Consumer Technology Association. Both the groups raised questions and said that the district court that came up with the decision against Cox Communications mistakenly did not take into account that the Supreme Court ruling that specifically put a limit on the contributory infringement on the part of internet service providers. In other words, there is a certain limit on how and when an internet service provider could be held liable for a copyright violation that takes place through one of its networks or online services. The response submitted by the CCIA and CTA said that an internet service provider did not infringe copyrights merely by providing households access to the internet. It further added that yet the district court allowed such a case to go to the jury, and asked the jury only whether Cox Communications materially contributed to infringement in any of the millions of households to which Cox offered internet access being an internet service provider. Piracy is, for the most part, bad. But that should give anyone the right to restrict internet access to all. And since this issue affects all those companies who provide their own brand of internet service, other internet service providers also chimed in and let their support known for Cox Communications in this particular case. Other stakeholders from the telecommunication industries put out their own statement that supported the stance taken up by Cox Communications through its appeal against the court’s decision to hold it liable for copyright violations that took place through its internet services. One of those stakeholders is United States Telecom Association and it said, through on its own statements, that the organization urged the appeals court to do whatever was necessary to try and reverse the handed down verdict since the verdict in its current form would basically force other internet service providers to forcefully disconnect their paying subscribers from their internet services based on nothing by one-sided piracy related accusations. The United States Telecom Association said in its response that the decision forced other Internet Service Providers like Cox and USTelecom member companies to restrict consumers’ access to the internet based on nothing more than unproven allegations of copyright infringements in the form of invalid DMCA notices which puts each member of the party in a precarious situation. The response submitted by the United States Telecom Association also added that the verdict handed down against Cox Communications did little but to upset the delicate and careful balance of the interests of copyright holders, internet users, and Internet Service Providers that Congress struck in the DMCA. And as one might expect from other Telecom related companies as well, their submitted responses also raised similar points and issues. Cox Communications’ verdict could spell doom for the future of free internet access to all the people. The American Cable Association and the Internet Commerce Coalition laid out some similar cases in the defense of internet service providers. The Internet Commerce Coalition highlighted one pertinent point which said that millions of copyright infringement claims that are sent to authorities by copyright holders are of dubious nature to the least and guards need to be put in place to act against that. The feedback submitted by the Internet Commerce Coalition added that if the decision involving Cox Communications and BMG Rights Management, was not reversed, conduit Internet service providers, when they received unverified, machine-generated infringement claims from profit-seeking agents of copyright holders, would be strongly incentivized to cut off vital internet services to users, rather than face costly damage suits. The statement from Internet Commerce Coalition also stated that this was not the system Congress intended when it enacted the DMCA and it should not be one imposed through a misinterpretation of COngress’s plain words. Another brother in arms by the name of Electronic Frontier Foundation (EFF) and Public Knowledge highlighted their own set of concerns with their separate submissions. The digital rights groups talked, at length, about the possible consequences the verdict against Cox Communications could have for the internet users not just in the United States of America but internet users all around the world where it might give repressive regimes direct control over who or what gets access to the internet when and where. The EFF’s statement noted that just as a tenant’s water should not ordinarily be cut off when a landlord alleges nonrepayment of rent, a subscriber’s connection to the internet should not be terminated in response to alleged copyright infringement except in the most extenuating circumstances. Most of the responses submitted by the telecom companies and other digital rights groups, seems to take the position that the internet service providers involved in the case were dealt a heavy hand by the district judge through a bad case of interpretation of the law that governs internet service provider’s obligations under the DMCA. The telecom companies were also of the opinion that the district court’s verdict against Cox Communications should be altered if not reversed altogether. It was also made known that failing to do so would leave the end-user open to some gross violations of their fundamental right as a human being, that is, to have unrestricted internet access at all times. The EFF and Public Knowledge also said that termination impeded the subscriber’s ability to exercise on of our more cherished liberties which was the right of free expression and that termination potentially imposed those far-reaching effects on an entire household sharing the subscriber’s internet connection. Can ISP’s really control who does the pirating on their network? That Does It For The Brief Submitted By Telecom Companies and Digital Rights Groups. What About Academic Institutions? Needless to say, any issue that touches the lives of the common, modern, man would have responses coming from all sectors of the industry the least of all which is that of the Academic sector. Several academic groups and institutions voiced their own well-informed and rather dense, opinion on how they though a specific internet service provider should have been treated in the case between Cox Communications and BMG Rights Management. Do keep in mind that the collective response also includes responses from some library organizations and groups. The American Library Association and The American Council on Education, were among many other participants who wanted to share their words on the Cox issue and expressed their fear that the verdict not only affected Cox Communications and the paid subscriber who may or may not have taken part in any copyright violation, but it also did not bear well for the future of educational access to the internet. In fact, that particular internet access may even be restricted by unscrupulous authorities who might cite the verdict against Cox Communication as a precedent for any such move. The American Council on Education and The American Library Association wrote that it could force educational institutions to restrict student access to the internet unreasonably and similarly, it could require libraries to limit broadband availability to people who had no other way of accessing information they needed for their tasks and/or daily routines. The reply further said that the DMCA did not mandate a uniform repeat infringer policy and such uniformity would conflict with the flexibility afforded under the Higher Education Opportunity Act. With so many submissions coming in from all sectors that are affected by the Cox Communications verdict, it comes clear that the Cox Communication issue is clearly important to a certain large sector of the country. It is also predicted that many more responses will be submitted to the court in order to appeal against the verdict handed down to Cox Communications. Of course, the final decision remains with the appeals court to look into the matter and then deliberate on whether there is any room for a compromise or at least explore avenues where these opinions could be factored into the final verdict if it is changed at all.